We are very proud of all our clients and we are grateful that we could help them. Feel free to read their testimonials. 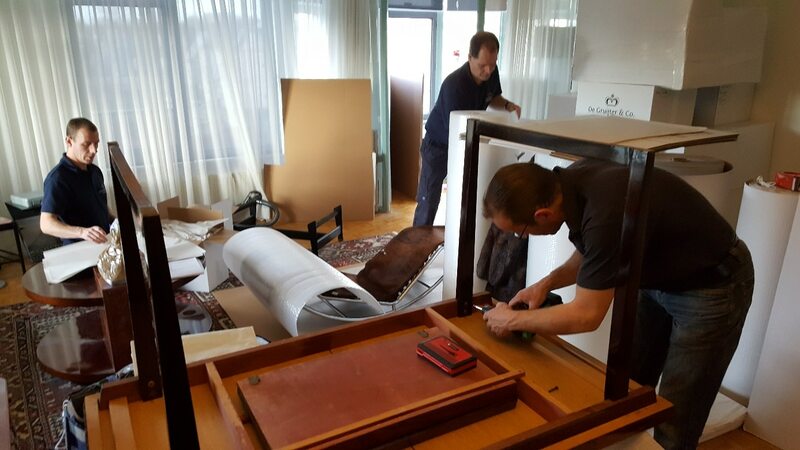 You can share your moving experience with De Gruijter & Co with others. I was deeply impressed by the stellar quality of your service from end-to-end. The quoting was prompt, professional, accommodating all our personal needs and my employer’s procurement process. The price was highly competitive next to 3 other quotes. Furthermore, the crew has been professional, courteous, prompt, efficient; there was not a single fault. This was the best move we ever had, I am highly recommending your service to all international people I am in contact with. again thanks a lot for your support in moving houses and especially the fact that it again was done in an extremely smooth way. Great team doing the move and fantastic service! Well…. the container arrived in good shape and we moved in. First of all, I would like to thank you and all your colleagues for your speedy help and attention. Everything went very smoothly indeed. I’m very happy with the service. Thanks very much! In November, 2013, I received a letter from De Gruijter & Co., the Royal Dutch Movers, telling me that they had discovered in their stores a metal case with private documents of my Grandfather Casper Baron van Breugel Douglas. With the letter came photographs. I was moved when I saw colored drawings made by my Grandfather and his sister, of the time when they were children before WWI. I knew that De Gruijter had been the mover of my Grandfather throughout his diplomatic career. What is the mystery of this metal case? I believe that my Grandfather deposited these papers with De Gruijter just before WWII to protect them. When the Netherlands were invaded, my Grandfather, who was then Ambassador in Athens, joined the Dutch government in exile in London, presided by Queen Wilhelmina, and was sent first as Ambassador to China and then to Moscow until 1946. These papers of great family importance have been kept in perfect condition and with absolute responsibility by De Grujter and Co. ever since, during at least 73 years! I cannot think more highly of this exceptional service and kindness that tells all about De Gruijter & Co. and for which I will be eternally grateful. I join a note for your website with the story of the metal case with my Granfather’s family papers. I hope that this note tells the story of this case and highlights the kindness and sense of responsability of De Gruijter & Co., as also my gratitude. “Thank you very much for the smooth move from Luxembourg to Switzerland. Family Hemelraad Reuder is perfectly satisfied with your services. I am pleased to confirm, that you can put Vistra on your list for recommendations. “In July 2013 the Kwazulu Natal Philharmonic Orchestra has been on a tour to France. As soon as I started to get going with this tour, I knew – particularly after contacting potential local freight forwarders – that De Gruijter were the one and the only one to be trusted for taking out our valuable KZNPO musical instruments on ‘Tour to France’ and back. I have not been disappointed. Thank you for your passionate involvement. It feels like ‘when Wencke is around, nothing can go wrong!’. All worked out according to plan, even when unexpected developments out of our influence occurred. With your great experience, you managed to turn what could have been the recipe for a huge disaster into a smooth and successful procedure…Thank you, and well done! “Just to firstly say once again many thanks for all the support in the removals from Belgium to Switzerland. It was really excellent and your team did a superb job!